In the world of pasta sauces, I chose tomato (red) sauce over Alfredo (white) sauce about 98 times out of 100. 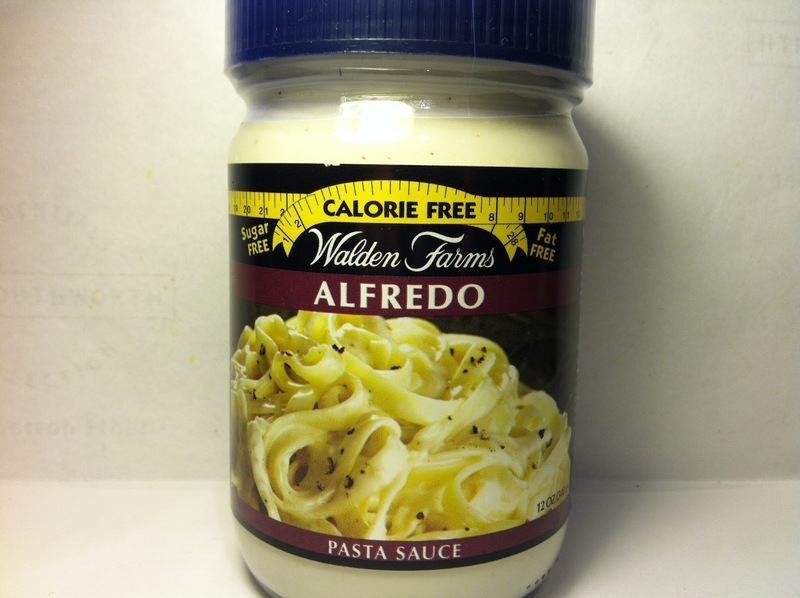 Just my personal preference, but after one of my many Walden Farms reviews where I reviewed their abysmal Walden Farms Tomato & Basil Pasta Sauce (posted yesterday), I decided I'd give their Walden Farms Alfredo Pasta Sauce a try even though I wasn't expecting a lot based on my prior review. Like the last, I picked this up at Kroger for $3.69 and it's twelve ounces. Like all Walden Farms products it's sugar free, calorie free, fat free, gluten free, etc. As always, it's a miracle of science. One of the reasons that I don't often choose Alfredo sauce is that I'm not a huge fan of creamy sauces, but since this is a Walden Farms product, I knew going in that it would't be creamy and that was definitely the case with this. One surprising note about this sauce though was that it was creamier than I would have expected. Don't get me wrong, it wasn't thick by any means, but it also wasn't watery. If I had to compare it to something, I would say that it had the consistency of 2% milk, although maybe slightly thicker. Also in the sauce were little flecks of the various seasonings in the sauce, which included rosemary, garlic, onion, black pepper and cayenne pepper. Upon further review of the ingredient list, I also came to find out that the "creamy" components of this sauce were sour cream, Romano cheese and Parmesan cheese flavors. Interesting. They certainly weren't skimping on number of ingredients/spices on this one, so that was encouraging to me in thinking that there would be a lot of flavor here. 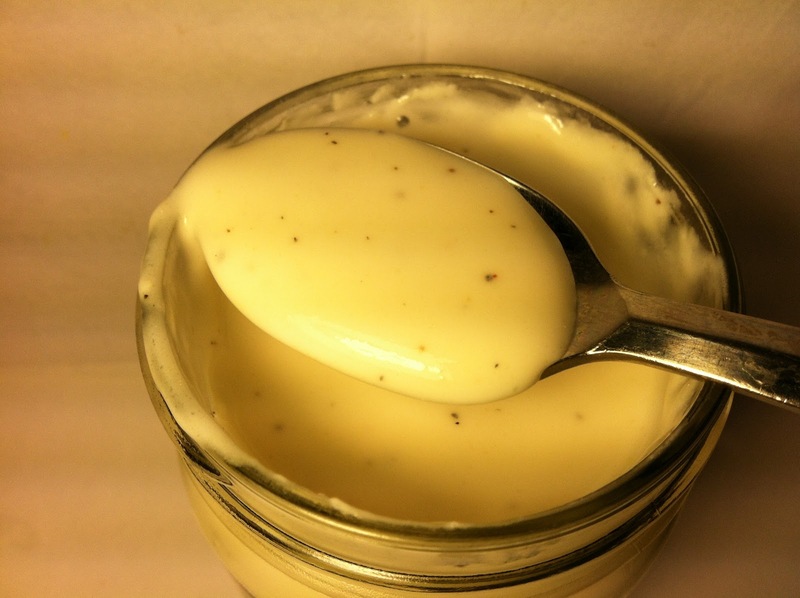 As for the smell, it had a strong pepper smell, but being that there were two kinds of pepper in the container. In terms of taste, I've got to say that they did a good job approximating Alfredo sauce here. The "creamy" components added a nice, unexpected mouthfeel to the sauce and you could definitely taste the saltiness of the cheeses and the tang of the sour cream. Once you got past that flavors, it was almost as if you were slapped in the face by the strength of the pepper spices as they were quite powerful. I'm a big pepper guy, so I was okay with that, but if pepper is not your forte, you may not be a huge fan of that. All in all though, Walden Farms did a nice job of emulating a product that is far from being healthy and making it in a no calorie way. Buy It or Fly By It? In the real world, I prefer red sauce over white sauce, but in the Walden Farms world, I prefer the exact opposite because this was pretty darn good. Due to that, I give this a BUY IT rating. I used this as a mix-in for vegetables, but I have no doubt that it would stand up well in pasta as well and I would have no reservations using this as my sauce as a substitute for typical Alfredo sauce if I was eating any sort of pasta. So, if you are ever in the store and choosing between red and white Walden Farms, always choose the white!